HEATHER RICE-MINUS (Senior Policy Advisor, Justice Fellowship): Imagine yourself locked in a closet. SEVERSON: Heather Rice-Minus is with the faith-based Justice Fellowship, which is part of the Prison Fellowship Ministries. It takes the position, as do several other religious organizations, that solitary confinement is an un-Christian practice. Researchers have found that it often does more harm than good. RICE-MINUS: Many of the people that they worked with who were held in solitary confinement experienced paranoia, hallucinations, depression. Some reacted eventually with violent, uncontrollable anger. SEVERSON: Bobby Dellelo knows what it’s like. He was in solitary for over five years. 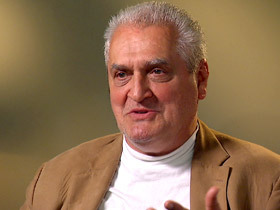 BOBBY DELLELO (Former Solitary Prisoner): It was a horror show. You go insane in there. You go crazy. You hear guys saying, “Yeah, ho.” “No, what?” The ventilator called his name. The thing that really scared me in there is I was watching my humanity and compassion slipping out of my grasp. 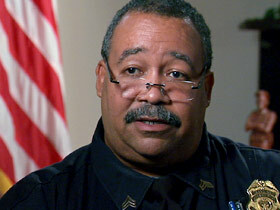 SEVERSON: John Rosser is chairman of the Washington, DC Corrections Officers Union. He thinks, as do many prison guards nationwide, that solitary is getting a bad rap. It’s necessary to preserve the safety of inmates and guards within the prison. ROSSER: Solitary, yes. I think that just has too many negative connotations. SEVERSON: Solitary certainly has a negative connotation with Bobby Dellelo. He was sent to prison for 40 years after an armed robbery. Dellelo ended up in solitary for trying to escape. 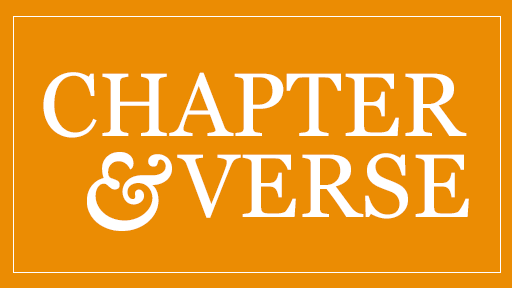 DELLELO: Five years and one month for escaping. Nobody got hurt. I embarrassed the Department of Corrections. SEVERSON: When Dellelo got out of prison he volunteered to work with a Quaker program focusing on prisoner’s rights. Ironically, it was the Quakers who first introduced solitary confinement, thinking it would give the guilty some time by themselves to feel sorrow for their actions. Now the Quakers are working to abolish solitary. Mississippi’s corrections director, Christopher Epps, is trying to do his part. His conversion occurred in 2007. 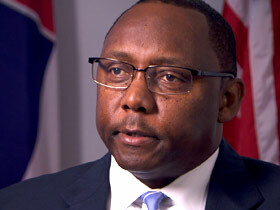 CHRISTOPHER EPPS (Commissioner, Mississippi Corrections Department): It was a real bad year. Worst year that I ever had since I’ve been in corrections, which is 32 years. SEVERSON: The Mississippi Department of Corrections had a serious problem at the state’s Supermax prison: an outbreak of inmate violence—stabbings, killings, suicide. But instead of putting the prison on total lockdown, which is what usually happens, the corrections commissioner took a giant leap. EPPS: This was a major decision. I mean, to take individuals that have been locked up for years and take them from a single cell and put them in a general population unit, it was a major decision. SEVERSON: And not one that was politically popular in an election year in a state that prides itself as being tough on criminals. The commissioner, who once locked a thousand inmates in solitary, removed 700 to the general prison population, and violence inside the prison went down 40 percent. EPPS: I have watched inmates placed in a single cell, and over a period of time I watched the mental capacity change severely. I think that if you treat them like animals that’s exactly the way they behave. DELLELO: The hate, anger, and rage was totally out of control. It’s hard to explain to you, but cutting guards' heads off in my mind and rolling them down the corridor—that was relieving to me. SEVERSON: But many corrections officers say that’s precisely why you need solitary, to house the really bad guys, the assaulters, the rapists, the crazies. ROSSER: When you’re working the solitary, no matter where it is, the chances of your being assaulted are through the roof; the chances of having bodily fluids thrown on you. I mean, you are in there in a very, very volatile situation. RICE-MINUS: The top reasons for placing someone when they look at the records of the disciplinary infraction of why the person went there are not because of significant safety risks, but are actually refusing an order, being in the wrong place at the wrong time—just minor rule violations. SEVERSON: What all sides agree on is that there are far too many people in prison who are mentally ill, who need help, and that’s especially true in solitary. ROSSER: I guarantee you that the district’s jail is the largest mental health provider in the District of Columbia. I guarantee it. SEVERSON: For those in solitary, the question is are they put there because they’re mentally ill, or does solitary cause mental illness? ROSSER: In today’s world we’re getting so many mental health people walking through the door that in some cases it’s protective custody; in some cases they’re out in the general population and acting out, and it’s causing problems. RICE-MINUS: We are locking people up in solitary confinement to prevent this violent behavior, and in fact it may actually instigate—because of the impact on their mental health—even more violent behavior. SEVERSON: Anti-solitary activists say it is not uncommon for prisons to release an inmate directly from solitary to the community. 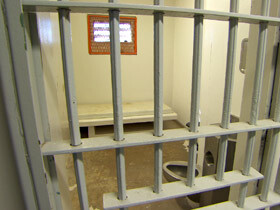 A study in Washington State showed that those inmates are far more likely to commit more crimes. RICE-MINUS: There is a perception that solitary confinement equals safety, whereas I would argue solitary confinement equals a threat to public safety. DELLELO: Ninety-seven percent of the people in prison today are coming to the street. The real question is how do you want them back on the street? Better or worse than they went in? They’re coming out worse. SEVERSON: What’s driving the effort to seriously cut back on solitary confinement as much as anything else is money. EPPS: In this state it costs a little bit over twice. It’s about $102 a day, and the regular inmate is about $41.51 a day. Everything for the most part is “room service.” You bring his meal to him. You bring his medication to him. Few argue that solitary should be abolished altogether. Mississippi Commissioner Epps still has about 300 inmates in segregation out of over 22,000 in state prisons. He recommends that inmates in solitary be reviewed every 7 days by an impartial committee. The man who spent more than 5 years of his life in solitary agrees. DELLELO: When you got an individual that was really, you know, out of control, where do you put them? Okay, you have to put them in a segregation unit. But that doesn’t mean you have to keep them there for years and years and years. Don’t just put them in there and weld the door shut. SEVERSON: When the Mississippi commissioner closed the state’s Supermax segregation unit, it saved the state nearly $6 million annually. That’s one reason Commissioner Epps, who is now president of the American Correctional Association, has become a pied-piper against solitary confinement as he travels around the country. EPPS: We have to, I think, stop talking about “tough on crime” and get smart on crime. And so you and our tax dollars can be spent the way it was meant to be spent, instead of trying to impress someone. SEVERSON: For Religion & Ethics NewsWeekly, I’m Lucky Severson in Jackson, Mississippi. 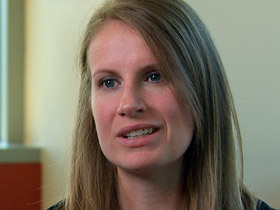 “We are locking people up in solitary confinement to prevent this violent behavior, and in fact it may actually instigate—because of the impact on their mental health—even more violent behavior,” says Heather Rice-Minus, a senior policy advisor for Justice Fellowship.